The best weapon against insects is often other insects. PARIS — Roundworms defend palm trees against red palm weevils, and minute wasps protect corn against European corn worms. Using natural tiny warriors to preserve agricultural fields is known as biological control, or biocontrol. And this method is working its way around the world. Biocontrol has already seduced the biggest chemical corporations such as the Germany’s Bayer or the U.S.-based Monsanto. Swiss-based Syngenta created the Bioline range 25 years ago. “In the Netherlands, Spain and France, they protect tomatoes under greenhouses by using 70% biocontrol and only 30% classic pesticides,” says Gérard Thomas, technical manager of Syngenta. 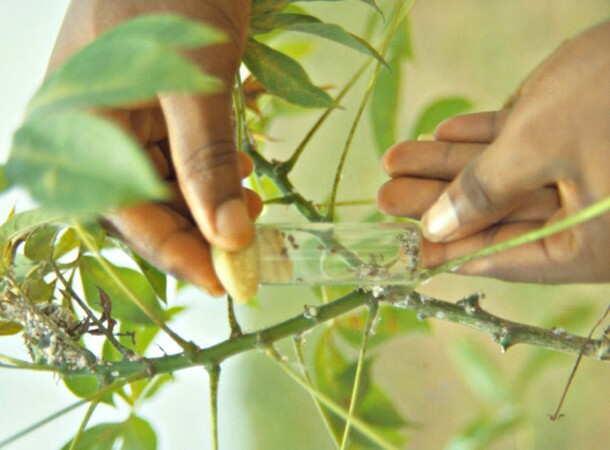 For the experts of the French Institute of Research for Development (IRD), biocontrol is a major issue. “Despite the increasing use of pesticides since the 1960s, the rate of harvest loss stays high: between 40% to 50% in emerging countries and 25% to 30% in industrialized countries,” the Institute notes. Read the full story via Biocontrol: ‘Predator’ Pesticides Help Farmers Save Their Plants, And The Planet.